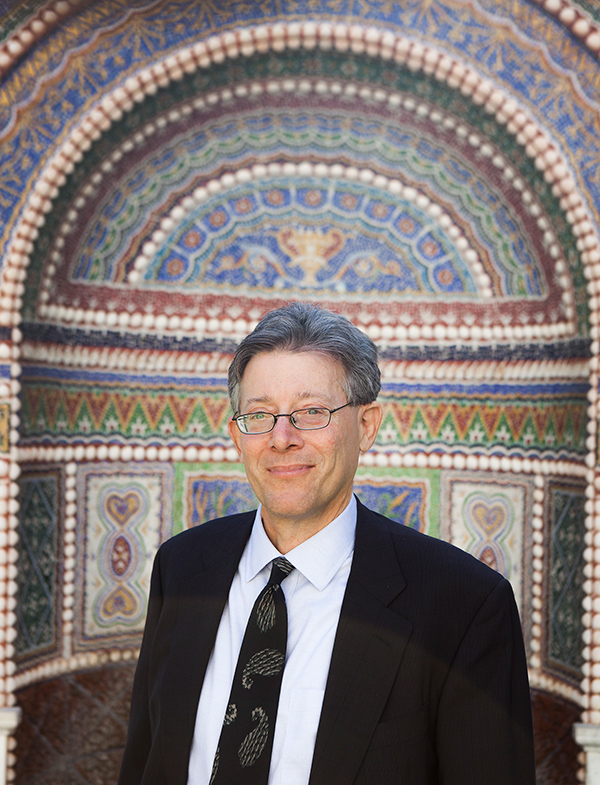 Jeffrey Spier is the J. Paul Getty Museum’s new senior curator of antiquities. He brings a wealth of experience to the role: He earned his B.A. in classical archaeology at Harvard University and his D.Phil in classical archaeology at Merton College, Oxford, and has held research and teaching positions at University College London, at Oxford University, and most recently at the University of Arizona. He’s lectured and written extensively on Greek and Roman sculpture, painting, luxury arts, numismatics, and archaeological method, covering eras from archaic Greece to Byzantium, and is regarded as a leading expert in the study of Greek, Roman, and Byzantine gems. Jeffrey has also twice been a visiting scholar at the Getty Museum—most recently in 2013 when he studied at the Getty Villa. He welcomed me to his office in the Getty Villa’s Ranch House. 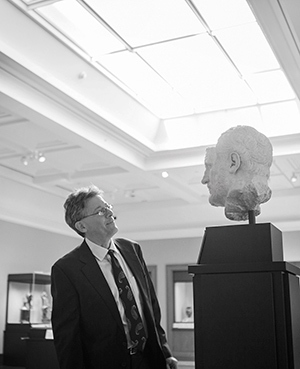 What does a senior curator of antiquities do? We’re quite lucky because, in addition to me, we have five curators in the Antiquities Department who have been doing brilliant work for years with the collection and exhibitions. And together, we do many things! We’re constantly thinking of how the galleries should look. We plan exhibitions; we field requests about what’s in the collection, and for loans to other museums. We’re constantly looking at the condition of the pieces in the collection—what might need conservation or care in one way or another. And of course we’re thinking about how to publish the collection. 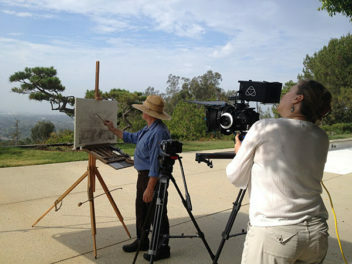 What drew you to work at the Getty? I wanted to come to the Getty for two main reasons. First are the exhibitions. We’re committed to doing many interesting exhibitions, including one on Hellenistic bronzes next year [which will be at the Getty Center], curated by my colleagues Jens Daehner and Kenneth Lapatin. It’s going to be one of the great exhibitions, ever, in the world. But even the smaller exhibitions at the Villa are very, very beautiful. Second is the reinstallation of the Getty Villa galleries. It’s something I entirely support–a new way of seeing what’s in the Villa. Tell us about the reinstallation, which is in the very early planning stage. If you come to the Villa now, it’s a very beautiful experience, but the thematic approach to displaying the art makes it a little difficult to understand what’s going on. I’d like to show that every piece in the Getty Villa is a beautiful, important object. We’ll emphasize a more chronological approach, so that objects are shown in their cultural context. I think it’s better to show related objects together—archaic, classical, Hellenistic, south Italian Greek—to give a better understanding of the art and the culture. You’ve said that you’d like people to leave the Getty Villa “amazed and inspired.” How will the reinstallation contribute to that? Yes, that’s my greatest goal–we’ll see whether we can do this! I’d like you to walk into the gallery and be able to look at any piece, see it very clearly and beautifully lit, and connect with it. The J. Paul Getty Museum at the Getty Villa is unlike the huge encyclopedic museums. 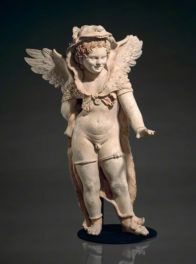 It’s devoted only to Greek, Roman, and Etruscan art. The British Museum is the greatest museum in the world, but it’s so full of objects that it’s hard to see them all. I think you should be able to see most objects on a visit to the Villa. That’s what I’m hoping for. You’re interested in promoting deeper connections between visitors and artworks? Exactly. Even if you’re not that knowledgeable about classical art, you can find what you like: maybe it’s a statue, or a piece of jewelry, or a Greek vase, or a painting—whatever draws your eye. I want to encourage everyone to really look. Is there an object in the collection you’re particularly drawn to? So many things! I am drawn to sculpture; it’s something you can look at over and over again. I love the Elgin kore, with its beautiful drapery and shape. And our Hellenistic marble head of the second century B.C. is one of the greatest works of ancient art in America. We don’t know who this man is, but he must have been someone important. He has the most extraordinary face. One of your scholarly specialties is ancient gems. What drew you to study them? I like coins also; maybe it’s from being near-sighted [laughs]. Gems are very beautiful objects. Carving semi-precious stones is a phenomenon that arose in the Near East and Egypt, but the Greeks took gem carving as an opportunity to create fine works of art. They’re like miniature relief sculpture. And such a wonderful variety of images: mythological figures, studies of bodies, animals. The Getty Villa has a beautiful collection of gems. Yes. And we’re very lucky to have two gems by the archaic Greek engraver Epimenes. He does the most beautiful miniaturist work. One is carved from obsidian, black volcanic glass, the other from carnelian. 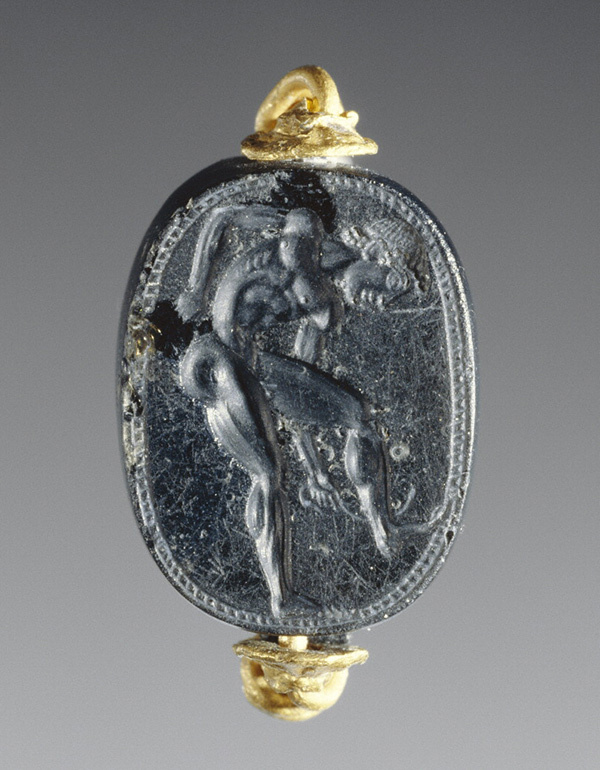 Among the many other fascinating gems in the collection is one carved of lapis lazuli–a rare stone for Greek gems, with animal studies on both sides. One side has a lion looking out at you, and the other side has a boar scratching himself with his hind leg. It’s a remarkable work. What tips would you give someone coming to the Getty Villa for the first time? It’s such a fun experience to come to the Villa. Beautiful weather, beautiful location, beautiful gardens. But of course, as a curator, I’d like you to go in and look at the objects. That’s my advice: don’t read too much; look at the objects and see what you like. You mentioned Power and Pathos, the exhibition of Hellenistic bronzes coming to the Getty Center in July 2015. Tell us more. The medium of choice for the great artists of ancient Greece was bronze. But all the great works of art we read about in classical literature are gone; all we have are copies. There is just a handful of surviving bronze sculptures, especially from the Hellenistic period. These were all very lucky finds, and they’re all fragile, beautiful works of art. For lenders in Greece, Italy, Croatia, Bulgaria, and elsewhere to allow them out of their countries for this exhibition is remarkable. I doubt you’re ever going to see this again in our lifetime. Let’s get fanciful now. If you could go back in time to the ancient world for a day, where would you go and what would you do? It depends on how adventurous you are, I think. I think in the past I was more adventurous [laughs]. Well, imagine being with Alexander the Great, going all the way to India or seeing him march into Babylon and be crowned King of Kings. It would have been a remarkable sight. Or imagine being in Athens at the time of the Parthenon, let’s say 440 B.C. You would see ancient Athens at its height, with its philosophers and artists. And you would see art everywhere you walked. You would see the plays of Sophocles and Euripides and Aristophanes. If you wanted to be really adventurous, imagine being there at the battles between the Athenians and the Persians in 479 B.C. This would have been a tremendous time. Last question. If you were stranded on a desert island, what one book or artwork would you want to have with you? I’d have to think about what book or artwork I could read or look at over and over and still be moved by it. For books, the Iliad or the Bible would be good, or great novels by Dostoevsky, Balzac, or Melville. These I can read over and over. I talked before about the Elgin kore. I could imagine looking at it every day and still being moved by it. Great art is like that; it just…speaks to you. I love the thematic arrangement of the art and artifacts at the Villa. 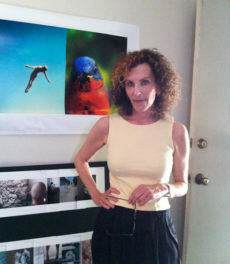 It allows for the exploration of so many different ideas rather than just one time period. Its one of the things that makes the Villa so unique in comparison to the encyclopedic museums. It’s important to know what was going on in all the areas of a particular century or era. I am very happy to see the collection return to a chronological organization. One of the things about the thematic organization of the display is that it allows a visitor with very little clue even of what Roman or Greek or Etruscan means to engage with the objects by looking for animals, or examples of athletes and competition, or things related to the theater. Once engaged with an object, there’s the chance to dig deeper, to learn more. A real challenge of a chronological display will be, I think, to engage that visitor who doesn’t know much and who might even care less about the historical and cultural information. I once talked with a small group of 8 and 9 year olds about the Panathenaic Prize Amphora and they asked me if it was like a winner’s gold cup. I said that it was, and that the other things in the gallery were also about athletes and competitions, and they wandered around on their own with an idea of what to look for, with a way to access what they were seeing, and to ask questions. That’d be harder to do with a chronological arrangement. My lifelong fondness for the Getty Villa and my attachment to its gardens, mosaics, sculpture and vessels is given a boost of excitement knowing we have a curator that understands the beauty, significance and importance of the gems and coins in the lives of the ancients. Welcome and flourish Mr. Spier! I am delighted to know that you will be presenting your collections in their original context, as I am working on an opera that is set in 525 BCE that involves the incorporation of Greek gods into the Etruscan/Roman pantheon. I treasure any and all artifacts from that era! I visited the Getty for the first time last weekend with my son. We have visited the Met and the Cloisters in NYC and in comparison were amazed at the beauty, openness and light all the exhibits used. 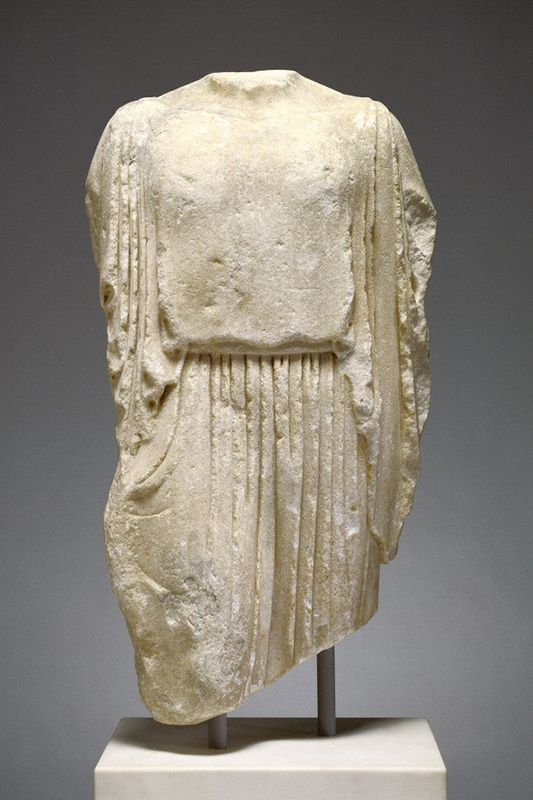 As a Graphic Design Major in the 80’s I had to take lots of Art History and was amazed at how the Getty brings Greek and Roman art and artifacts I remember to life in the exhibits and architecturally. It was one of the most perfect Saturdays I have ever spent with my son. I am looking forward to seeing how things will be changing no doubt to be even better. Oh, Dr. Spier congratulations! I just messaged Olga about your new position. We talk about you often, in the kindest most grateful states of nostalgia. If you find a moment, please reach out and touch base with me.